If you’re reading this, you probably identify as a highly sensitive person (or an HSP). However, you may not know what C-PTSD is or if you’re suffering from it. Complex trauma forms in childhood, possibly even in infancy. For those who were born with the trait of high sensitivity, there’s an even greater susceptibility to being traumatized when there’s a lack of sufficient emotional nurturing early in life. In my work as a therapist, I have come to understand the connection between high sensitivity, emotional abuse and neglect, and the large number of people I see in my office who have both the trait and the trauma without knowing it. A less than ideal early emotional environment is especially damaging for the HS infant or child. Not only is there not the love, care, and safety the caregiver ideally provides, but the baby can shut down their own needs completely. An infant may stop crying when it’s hungry and wet or never “mold” to the caregiver when being held because they don’t feel safe. The physical and emotional home environment is of the utmost importance for the healthy development of an HSP. Over-stimulating the infant with bright lights, loud noises, yelling, harsh materials or handling… even anger can create overwhelm and shut down. It is commonly believed that infants are somehow less affected by exposure to pain, violence, harshness, yelling, etc., or that they won’t remember the experience. Yet infants are likely more affected and remember in their cells, in their nervous systems, and in their unconscious preverbal memories. Complex trauma happens over time. It can develop as a result of physical or sexual abuse in childhood; but it can also stem from emotional neglect, which is more insidious and harder to understand and acknowledge. Emotional neglect can be not getting much, or any, physical affection, emotional support, positive attention or a sense that one is loved. As a child, it’s difficult to know what you’re feeling at all, let alone where the roots of fear, loneliness or emptiness lie. Here’s the good news: if you’re reading this blog, are an HSP, and now believe you have complex trauma, this is a huge realization! Now the real healing can commence. Healing requires that you get in touch with your highly sensitive trait as well as your childhood trauma. Having never been given the experience of safety or love or the opportunity to really get to know yourself and have compassion for what you’ve been through is quite a loss, but it can be achieved and developed, especially via therapy, books, groups, pets, or some combination of these. A significant amount of grief may be in store, but you will be grieving for the child in you… feeling anger and sadness and outrage that this precious being you are was robbed of a carefree, happy childhood. This is one of the first steps in having compassion for yourself. You can also learn to cherish and manage your sensitivities as opposed to pushing yourself to adapt to a world that feels overwhelming at times. You can come to embrace your depth of feeling, your imagination, your appreciation of the arts, and all the unique gifts you alone have to offer yourself and this world. That highly sensitive infant and child still live inside of you, and you can come to care for them in the ways they’ve always needed and deserved. You are no longer in the situation and predicament you were back then; as your adult self, you can save your younger selves. You may not be able to travel back in time, but you can heal the past. 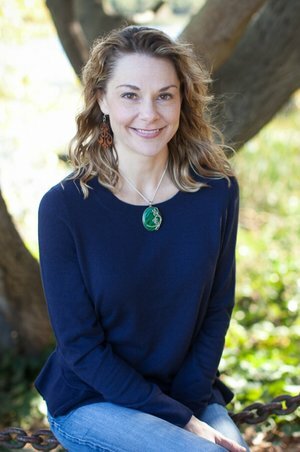 Sara Ouimette (pronounced “we met”), is a psychotherapist on the Oakland/Berkeley border specializing in women’s issues, trauma and PTSD, psychedelic and spiritual integration, and cannabis use. You can connect with via her website, facebook, and twitter.